This painting is a distillation of several experiences, most notably that of sailing through a hurricane in the wee small hours of the morning. As dawn broke we watched nervously from the bridge as the skipper expertly guided our small but sturdy vessel through the maze of mountainous waves that seemed to approach from almost every quarter. 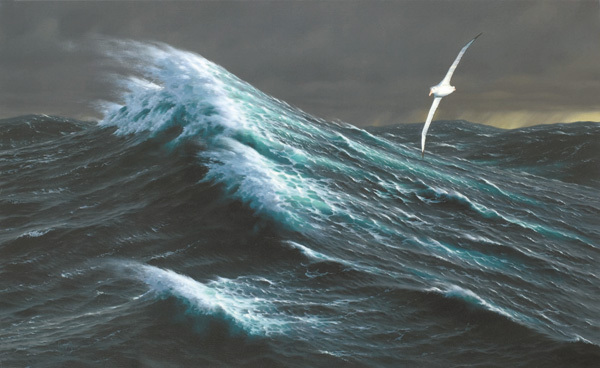 Emerging from the storm, seabirds began to appear. 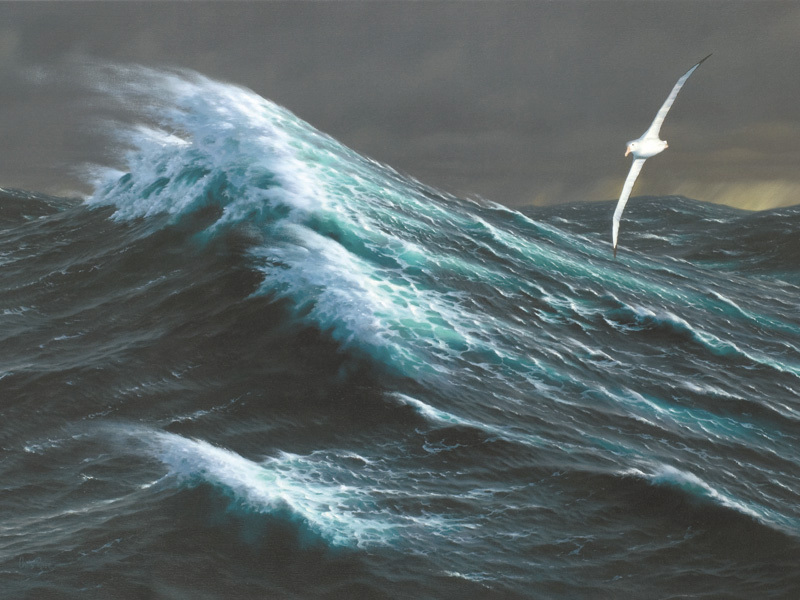 A wandering albatross sailed past, seemingly unperturbed by the screaming winds and foaming sea, perfectly at home in this environment, so inhospitable to us. I had been watching wanderers the previous evening as the storm approached; the low sun making them shine against a dark and brooding sky. This painting was auctioned by the RSPB this Spring. It fetched over £10,000 with all proceeds going to the ‘Save the Albatross Campaign’.